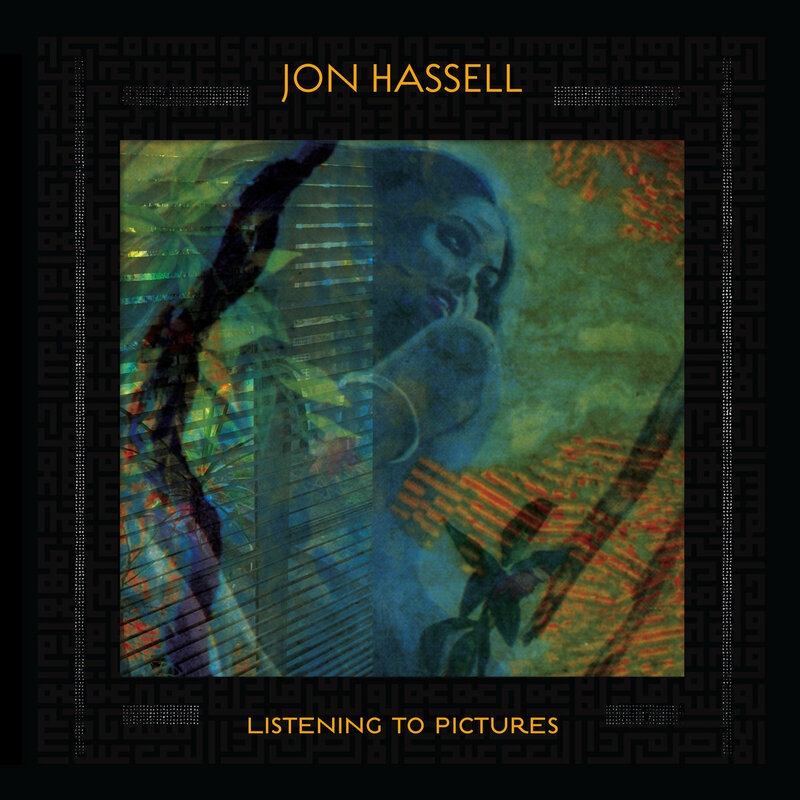 ​Listening to Pictures (Pentimento Volume One) is the first new album in nine years by Jon Hassell, a musical visionary and hugely influential figure in new music. Continuing his lifelong exploration of the possibilities of the studio, fragments of performance are sampled, looped, overdubbed and re-arranged into beguiling unexpected shapes. ​Hassell applies the painterly technique of ‘pentimento’ to the arrangements, teasing out texture by the careful overlaying of sound, or a carefully timed reveal of the delicate bones pinning the frame of a track together. Smeared, gauzy, gorgeous atmospherics to perfectly soundtrack a vertical listening experience. COMPOSER/TRUMPETER Jon Hassell is the visionary creator of a style of music he describes as Fourth World, a mysterious, unique hybrid of music both ancient and digital, composed and improvised, Eastern and Western. After composition studies and university degrees in the USA, he went to Europe to study electronic and serial music with Karlheinz Stockhausen. Several years later, he returned to New York where his first recordings were made with minimalist masters LaMonte Young and Terry Riley, through whom he met the Hindustani raga master, Pandit Pran Nath, and embarked on a lifelong quest to transmute his teacher's Kirana vocal mastery into a new trumpet sound and style. In the last two decades, he has recorded 11 highly influential, category-defying solo albums which have, over the years, become so widely appropriated that many of their innovations have become woven anonymously into the texture of contemporary music high and low. While the liner notes for his 1983 record Aka-Darbari-Java/Magic Realismdescribe a technology-tradition balance resulting in a "'coffee-colored' classical music of the future", it was innovators in the field of pop such as Brian Eno and Peter Gabriel who—after collaborations with Hassell—steered the Fourth World idea into the avant-pop sphere where it has since evolved into myriad forms of "electronica", "new age", and "world music." Notable concert appearances have included The Next Wave at the Brooklyn Academy of Music, Serious Fun at Lincoln Center, La Foret Museum in Tokyo, the Berlin Jazz Festival, the Paris Biennale, a Japan tour with Farafina, a traditional group of drummers and dancers from Burkina Faso and a spectacular appearance with eight Moroccan tribal groups at Expo 92 in Seville to celebrate Moroccan Independence Day. A European tour in November 1997 included sold-out performances at L'Opera de Nice and Queen Elizabeth Hall in London. Theatrical scores include Sulla Strada, created for the Venice Biennale, and Zangezi, directed by Peter Sellars. He has collaborated on presentations by fashion avant-gardists Issey Miyake and Rei Kawakuboand for choreographic works by Merce Cunningham and the Alvin Ailey Dance Company. The Kronos Quartet commissioned and recorded his 'Pano da Costa'. In 1996 the Netherlands Dance Theater commissioned Lurch—a major, evening-length piece choreographed by Australian dance maverick Gideon Obarzanek to the music of Hassell, arranged and remixed for performance by two onstage DJs. Jon both appeared in, and composed the score to the Wim Wenders' film, The Million Dollar Hotel, in collaboration with Bono, Daniel Lanois, and Brian Eno. His last album, Fascinoma, produced by Ry Cooder, opened a surprising new chapter in Hassell's recording career. The Dogme-like simplicity of one exceptional microphone, one tape recorder and one beautifully resonant church space reveal a trumpet sound and style unlike any other. The extraordinary jazz pianist Jacky Terrasson, classical Indian bansuri flute master, Ronu Majumdar and Ry's unmistakable guitar sound fill the space in a glorious acoustic sound which has provoked unprecedented critical superlatives. The current visibility of the "e-jazz" phenomenon ("electronic jazz", integrating collage techniques of hip-hop) has brought renewed appreciation of Hassell's earlier catalog, especially the 1993 recording Dressing for Pleasure. This, along with the release of Fascinoma has inspired a new generation of European trumpet players: Erik Truffaz, Paolo Fresu, and Nils Petter Molvaer who all acknowledge the depth of his influence on their music. A special tribute concert at the 25th anniversary of the Montreal Jazz Festival in July 2004 featured Hassell in "remix" mode with DJ Stratum, Paolo Fresu, Erik Truffaz and guests, Tunisian vocalist, Dhafer Youssefand Norwegian guitarist, Eivind Aarset. 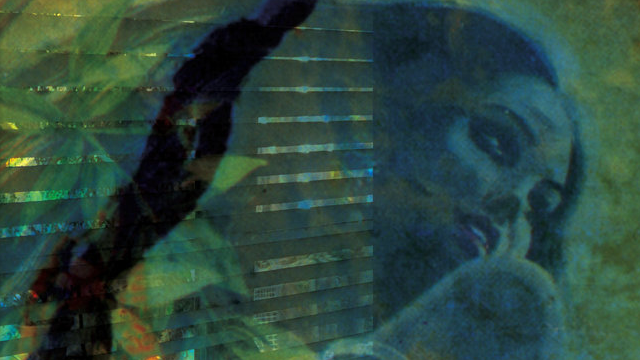 In April 2002, Jon Hassell led a group consisting of Senegalese world music superstar Baaba Maal, top DJ/Producer Howie B, and Miles Davis keyboardist John Beasley in a world premiere of new music at London's Barbican Centre. Recent Montreal, Milan and Paris concerts (with special guests Paolo Fresu and Dhafer Youssef) by Hassell's new group become the raw material for magical transformation in his eagerly awaited 2005 release, Maarifa Street / Magic Realism 2—a record which merges the spontaneity of live concerts with the detailing of a studio recording in yet another piece of musical alchemy in the same universe with the first "Magic Realism" record of 1983. In 2005: The North and South of You, a book of ideas toward creating a personal and social paradise rooted in the musical paradise of the Fourth World paradigm. Other Activity: Jon Hassell's theme for the Emmy Award winning ABC television drama series, The Practice, was recently chosen by TV Guide as one of the fifty greatest themes in television history. Solo appearances on records reveal an amazing range of artists, from the new Buenos Hermanos of Ibrahim Ferrer (Cuban superstar of Buena Vista Social Club) to Ani DiFranco's Reveling, to k.d. lang and Manhattan Transfer, a remix with Björk and producer Guy Sigsworth's new group, Frou Frou. Film scores and performances include The Million Dollar Hotel, Wild Side, Owning Mahowney, Primary Colors, The End of Violence, Angel Eyes, and Love and Death in Long Island.